Prerequisites: Students must have ability to use a calculator. Description: Newspaper articles are full of assertions about what it means to remove a dam and restore a river, but in fact the issue is amazingly complex. What is the science involved in such a project? How does dam removal impact public policy? What are the economic consequences of such a move? These questions and others will be explored in our program. This one-quarter introductory program will focus on the physics, economics, and politics of river restoration. 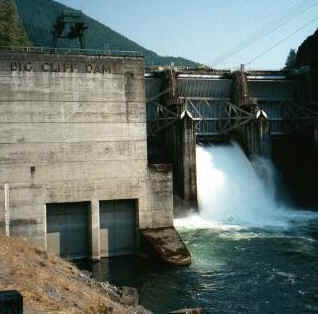 It will examine the construction and removal of dams; energy generation and use; and fluid dynamics. We will also explore the economic and political issues of construction and dam removal. In addition we will look at societal impacts from many different perspectives such as farmers, indigenous peoples, environmentalists, energy producers, and the fishing industry. We will approach our learning through a variety of modes including hands-on physics labs, lectures, workshops, some group work, and weekly seminars on a variety of related topics.